Neoprene - Not Just for Wet Suits Our neoprene gloves are thick, waterproof, and an effective replacement for latex and vinyl products. Neoprene is a synthetic rubber that maintains flexibility over a wide range of temperatures. 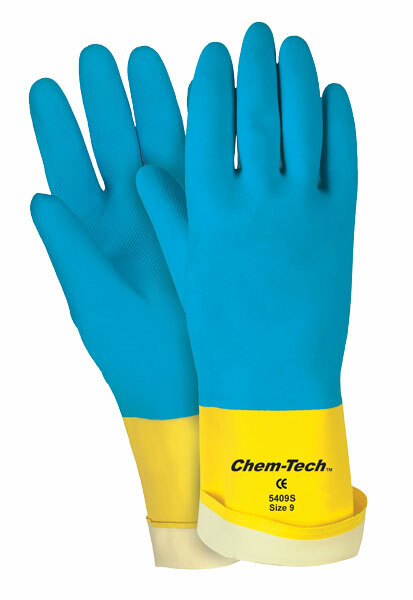 This 5410 Chem-Tech series is a 20 mil flock lined blue neoprene over yellow letex glove that is 12 inches in length. Click on size links below for size specific specifications.